I think that many 3D modeling software packages like Blender and Rhino-3D assume the presence of gravity acting downwards. What would a person use to model a structure in microgravity (more specifically, in free fall) like a space station or a space habitat like those proposed by Gerard K. O'Neill and the Space Studies Institute in a 3D software package? I have a fair amount of experience using Blender, Maya, and 3DS Max, three of the most popular 3D programs, and all allow you to set gravity to any value, including zero, for physics simulations. I believe that most of the Autodesk/AutoCAD software allows you the same freedom, though I can't speak from experience there. However, a vast majority of 3D modeling doesn't require gravitational calculations to begin with, and these forces only become relevant when you turn physics simulations on. Unless you are specifically interested in computing object collisions, you don't need to worry about what gravity is set to. Most 3D modelling packages let you define forces - I wasn't aware Blender had gravity turned on by default, but you can turn it off. Generally though, modelling is unlikely to require it unless you are doing detailed stress analysis, in which case I'm not sure Blender would be up to the job. SolidWorks - Used almost universally for quick spacecraft design and development. Commonly used for SmallSat/CubeSat development, however for higher fidelity design it's common practice to use Siemens NX due to the wide verity of modeling tools and how the software can handle large complex spacecrafts. Siemens NX - Commonly used throughout the aerospace/space industry (NASA, SpaceX, and various other companies). Excellent software for development of large complex systems. Has a large tool and application set to make engineering, management, development, manufacturing, and analysis easier. Catia - Another commonly used software within the industry. Used by Boeing, Northrop Grumman, and Bombardier. 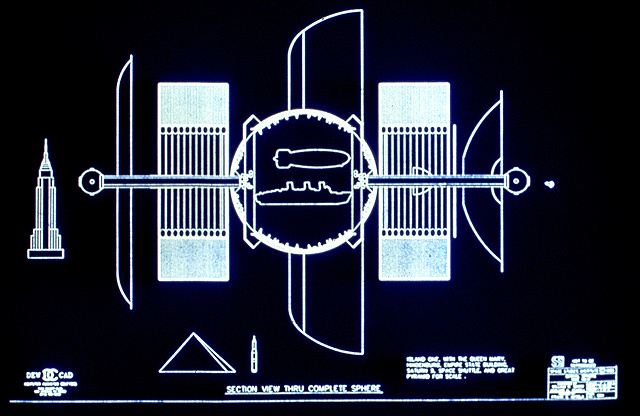 Used for both spacecraft and aircraft development. Creo - Not as commonly used as the others, but still a great software that can aid in the development of spacecraft and aircraft systems. COMSOL Multiphysics - Great simulation package for complex analysis and simulation of spacecraft systems in various environments. Thermal Desktop - Ideal and commonly used across various NASA facilities for thermal analysis related work. Integrated CAD Simulation Tools - There are various simulation packages intigrated into SolidWorks, NX, Catia, and Crea. Some packages may be idea for certain scenarios, while others might be limited in their ability to handle complex simulation scenarios. Proprietary Software - Complex software such as Monte developed by NASA is a large complex "state-of-the-art aerodynamics" Python library that is commonly used to analyse missions. AGI STK - Wide spread and accepted trajectory and mission design software. GMAT - Developed by NASA for trajectory and mission design. NASA uses both STK, GMAT, and Monte, just depends on the type of mission and what the engineer prefers. FreeFlyer - Not very commonly used. JAT - Open source simulation package developed on the JAVA framework. 3ds Max, Maya, Blender, or Cinema4D are great softwares for quick concept design and is commonly used in the game/entertainment industry. However, they are severely limited in terms of functionality for engineering related design work and analysis, and therefor are not used in development of space systems. Source: I work in the Aerospace Industry, specifically in spacecraft and satellite development. Not the answer you're looking for? Browse other questions tagged microgravity or ask your own question. How well would a broken bone heal in zero gravity? What causes microgravity (i.e. non-zero gravity) in orbit? Can we build a factory in zero gravity space? How do we create a zero gravity environment on earth? How many seconds of near-zero gravity are practical with a Reduced Gravity Aircraft? What does “masquerading zero gravity” mean?